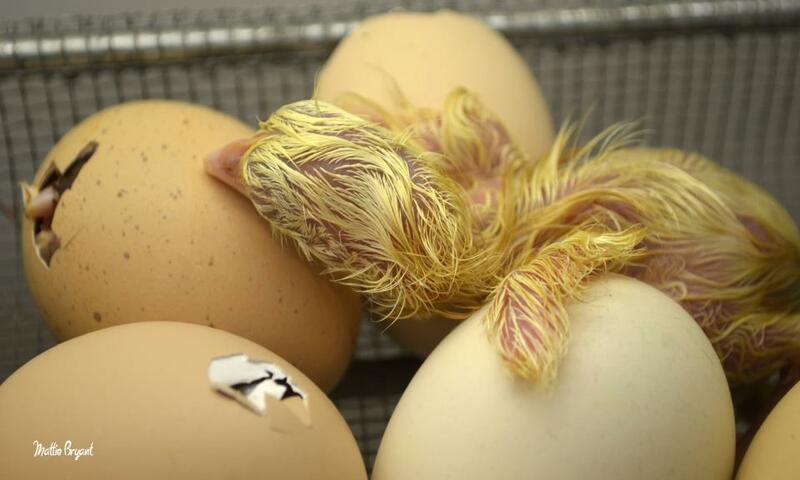 This little cute adorable newborn chick is still wet and fresh from the egg. His counterparts almost seem anxious to come unknowingly into a cruel new world. These chicks are hatched by the thousands in Chicken houses across the state of Georgia. Georgia processes on average 18 million pounds of chicken per day. Wow…Now that is a lot of chicken. Georgia is also designated as the chicken capital of the world. Chicks like these are grown usually from 6-8weeks and sent to processing. They are pretty much 6 weeks from egg to dinner plate. Look for one of these little guys coming soon to a table near you. Almost makes you feel sad when you think about it, but boy are they tasty.